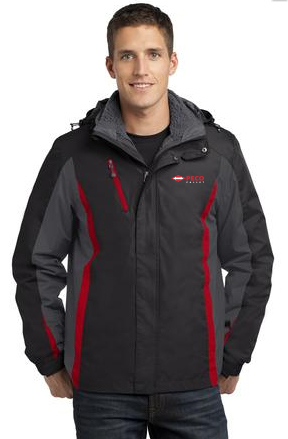 With a quilted zip-in liner jacket, this water-resistant Colorblock 3-in-1 Jacket quickly adapts to the elements in the mountains or around the neighborhood. Simply zip the shell jacket and liner jacket together for maximum protection or wear either piece alone as conditions dictate. We currently have [stock] vests in stock.